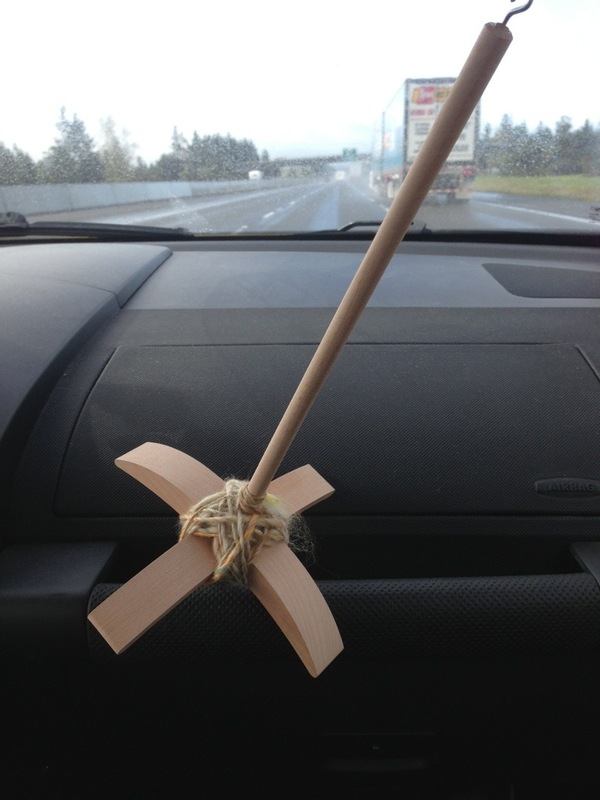 This entry was posted in art yarn, Car Spinning, Real life?, Spinning, Spinning in Public and tagged knitting, spindle, spinning in public, Spinning yarn by Leah. Bookmark the permalink. It hinders my knitting. I get knitting stupid. It certainly does the creative overdrive with spinning though, just as you describe. It also seems to give me something to think about when I am away from my fiber and feeling stress. I start to calm down and think about what I am going to create next and how I am going to pull that particular project off. The “thinking about it” thing totally works for me too, especially if I can’t fall asleep! Funny! 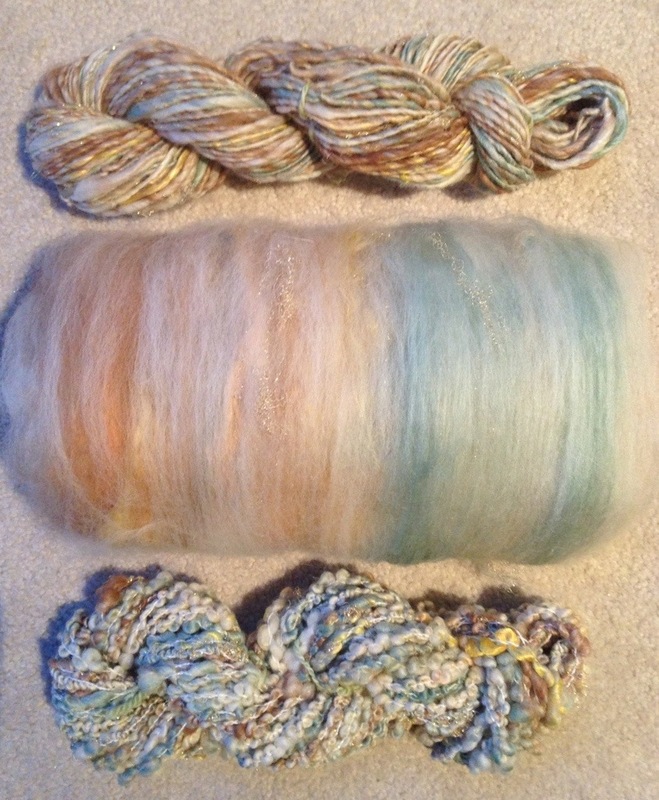 Love the colour and end yarns…. Yes when I am stressed a new project is usually started too. It’s “zone out time”.. Thank you!! I’m really happy with the way the it blended! It’s nice to have something productive come out of stress, hmm? Good side benefit! It kind of depends. Sometimes stress knitting and spinning is incredibly productive for me. And sometimes I think it would have been better for me to go outside and hit tree trunks with a stick. Ha!!! I totally hear ya!! I think stress helps me but it depends on what the stress is. But, wow, that’s some gorgeous fiber and yarn you made!! Do you card using hand careers or with a drum carder? I’d love to start making my own batts and was thinking my big purchase next year may be a drum carder. Thank you! !I started with hand carders, but didn’t get the effect I wanted. It took me a while to get a drum carder, but I am SO glad I did. I got a brother with medium teeth because the price was good and the reputation was as well. I love it..good first time carder purchase! I can say that stress makes me want my yarn more. These days I get stressed out because there is so much to do at work and at home that I just want to hide somewhere with my hooks and needles and pretend I don’t have five different to-do lists. Unfortunately, some of those lists ARE yarn-project related so I have this horrible self-feeding loop of stress. Spinning is good for me when I’m stressed, but I don’t always feel like doing it then. 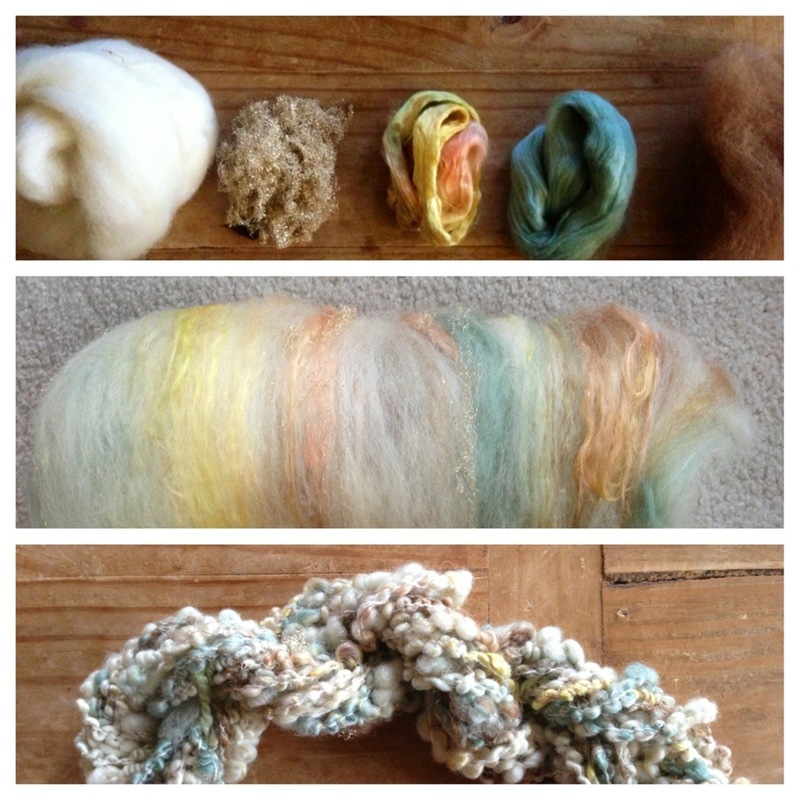 Spinning also helps me if I’m in a rut on other projects, nice little tool to get thought flowing. That’s interesting..same for me in regards to spinning. If I am really stressed, (or tired from stress), my mind might feel like it but my body is done for the day!